EN investigates how construction events inspire and challenge the industry they serve. It’s hard to think of an industry that has more of an impact on all of our daily lives than the construction industry. From the roads we drive to the infrastructure we rely on to the roofs over our heads, it’s ever-present. And, like many industries, the construction industry is in a period of evolution and flux. HS2 and Crossrail are set to have a major impact on England’s transport infrastructure. New technologies have come crashing into the market, changing the very fundamentals of design, health & safety, planning, building management and more. Issues like equality, recruitment and sustainability have been making headlines – and not always for the right reasons. And, tragically, events like the Grenfell Tower fire have thrust the construction industry into the national and even international spotlight. So, where does an industry turn when it needs to learn, debate and make new business connections? Hopefully, for all our sakes, to its trade shows. 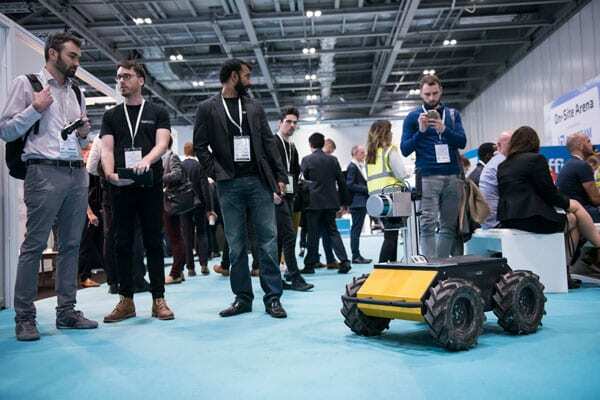 For this feature EN spoke to the organisers of UK Construction Week, London Build, Digital Construction Week and Futurebuild to take the temperature of construction events, and to hear how each has tackled the issues most pertinent to the sector. In early October, EN took a trip up to the NEC in Birmingham to catch up with Media 10 portfolio director Nathan Garnett in the midst of a busy edition of UK Construction Week. 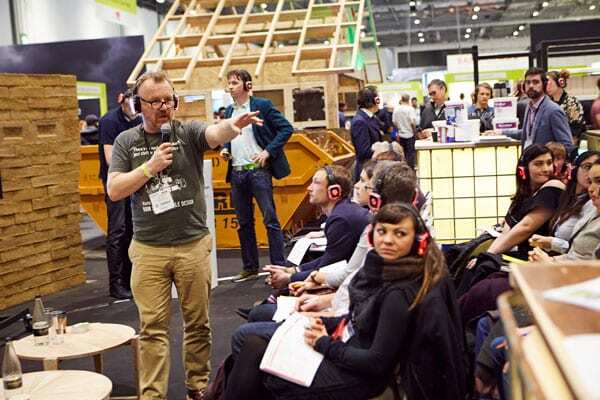 The sprawling construction event is comprised of nine distinct shows – Timber Expo, Build Show, Civils Expo, Plant & Machinery Live, Energy, Building Tech Live, Surface & Materials Show and HVAC– all of which tackle a different aspect of the construction ecosystem. It takes place alongside the more consumer-focused Grand Designs Live, which also has an edition in London. Meanwhile the Future of Construction Hub featured innovations set to change the face of the industry, such as artificial intelligence, augmented reality and simulators. Elsewhere at the show delegates learned about the repercussions of the Grenfell Tower fire and could visit the Sustainable Construction Conference to hear more about low impact construction. Alongside hosting these kind of discussion, UK Construction Week is also a proactive participant, carrying out a survey of delegates to gauge their thoughts on Grenfell. The organiser has also been leading from the front when it comes to sustainability – working alongside the NEC and Join the Pipe, a ‘social network of tap water drinkers’, to install tap water drinking points around the show in a bid to tackle single-use plastic. “Single-use plastics are still massively overused, and we wanted to find a way that we could do our bit,” explains Garnett. “Reusable plastic bottles are given free to the first thousand delegates that come through every morning. 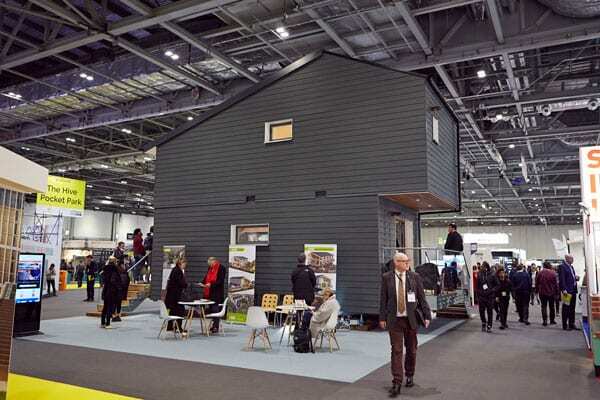 UK Construction Week has also joined the Considerate Constructors Scheme, which is working with it to assess the overall environmental impact of the show, along with health & safety elements during build and breakdown. London Build, organised by Oliver Kinross, first launched in June 2015. As with many of the construction events the company runs globally, the show covers a major city in the English-speaking world, with a high GDP and a significant construction market. The UK capital naturally faces many of the challenges faced by the country as a whole, and London Build is divided into nine zones covering topics such as fire safety, infrastructure, interior & fit-out and sustainability, and has seen consistent year-on-year growth since its launch four years go. “Construction shows are a funny old beast,” continues McKenzie. “Some of the biggest exhibitions in the world are in construction, yet many construction shows globally have failed in what can be a tricky market. The construction industry is very broad, which can cause a challenge for organisers. Reflecting an industry can have its pitfalls as well as its benefits, as any trade event is inevitably affected by the peaks and troughs of the sector it serves. It’s positive then, that both London Build and UK Construction Week are seeing steadily growing attendance at their respective events. 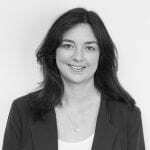 In addition to a packed programme of content, adds McKenzie, London Build “delivers countless networking functions and satellite events. “These are designed to appeal to a wide cross-section of the construction industry and, on a personal level, to capture the hearts and minds of those within it. Our satellite events and networking functions aim to address both the current trends of the industry as well as the social context of 21stcentury London. All the construction events that ENlearns about in the course of writing this feature arguably have several things in common: an interest in celebrating the complexity and diversity of the industry, a desire to provide thought-provoking and vital content, and a recognition of the value of satellite networking events to a trade show. Whether it’s proactively working to attract more women to the construction industry, carrying out vital research or striving to provide content that shows the breadth of the industry to potential new recruits, they are all far from just paying for a room for an industry to meet. Digital Construction Week was the brainchild of Oliver Hughes and Luke Collings. Before launching the event, Hughes spent around eight years at UBM, and Collings was the founder of the decidedly non-construction related Cake & Bake Show. The show began as 2,500sqm event at the BDC (“We flew a bit by the seat of our pants to be honest,” admits Hughes. “We put it together in the space of about six months, which wasn’t nearly enough) and for its 2018 event took up 7,000sqm in ExCeL London. Digital Construction Work is an event catching onto what may well be a seismic shift in the construction industry. A UK government mandate requiring all work on government buildings to be delivered with BIM (Building Information Modelling) by 2016 was a decisive step forcing the construction industry firmly into the world of digital. “What it basically did was give the industry a bit of an injection,” agrees Hughes. “To start looking at technology, innovation and how they build buildings and ultimately what it gave everyone was useful data. All these technologies like robotics and automation, drones, UAVs, laser scanning became quite realistic for the world, where previously it had been bits and pieces. The audience of Digital Construction Week, says Hughes, is an interesting combination of architects, engineers, big infrastructure, ‘cool tech geeks’ and decision-makers from the ‘built environment’ sector. The show is its share of big exhibitors and sponsors, but it also provides an exhibiting option for young startups who couldn’t otherwise come to the show. The final organiser EN speaks to is Futurebuild Events. 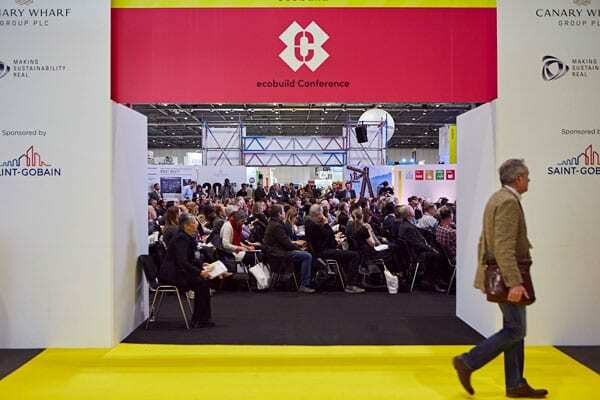 Futurebuild (previously Ecobuild) has expanded its focus ahead of its March 2019 event, aiming to ‘explore the latest thinking and debate the biggest issues facing the built environment – now and in the future’, with eco/sustainability issues a section of the show rather than the central focus. Those issues, however, do still dictate how the show operates, with the 2018 event having an aim to deliver zero waste to landfill and, like UK Construction Week, working closely with the Considerate Contractors Scheme. EN asks MD Martin Hurn what he thinks makes the construction industry unique. 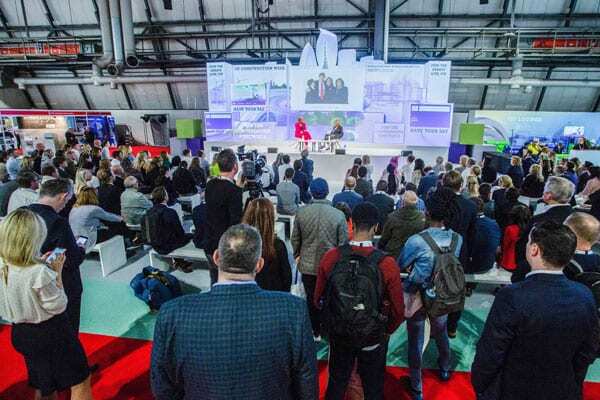 Like the other events covered in this feature, Futurebuild has a diverse array of content sessions, split into Futurebuild Hubs and covering topics such as materials, waste, urban infrastructure and energy. 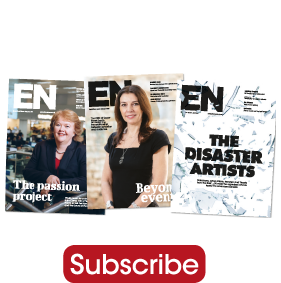 “Because the industry is so large, complex, and critical to us all in our everyday lives, the need to provide inspiring, thought-provoking and solutions-focused content is critical,” continues Hurn. “Futurebuild is created by the industry for the industry, based on input and feedback from those across the industry. But it’s so much more than just another event – it truly is a platform for forward thinking professionals to come together to discuss the biggest issues and agree action plans for tangible, positive change. “We’re not about the glitz of BBC presenters, we make sure we’re working with the right industry-leading partners to create and present our seminar and conference sessions – like having a RIBA architect on our conference curation panel – meaning we’re delivering exactly the conversations and debates our visitors want to be part of. All four of the organisers EN talks to are at the helm of growing events, steering an industry through an era of unprecedented change and scrutiny. If events are a reflection of an industry they service, then surely this is a cause for celebration.